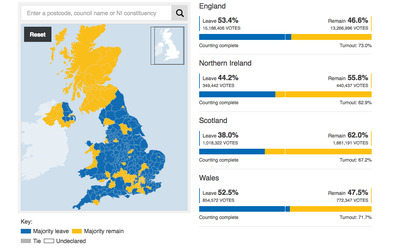 Britain has officially voted to tear itself away from the European Union. 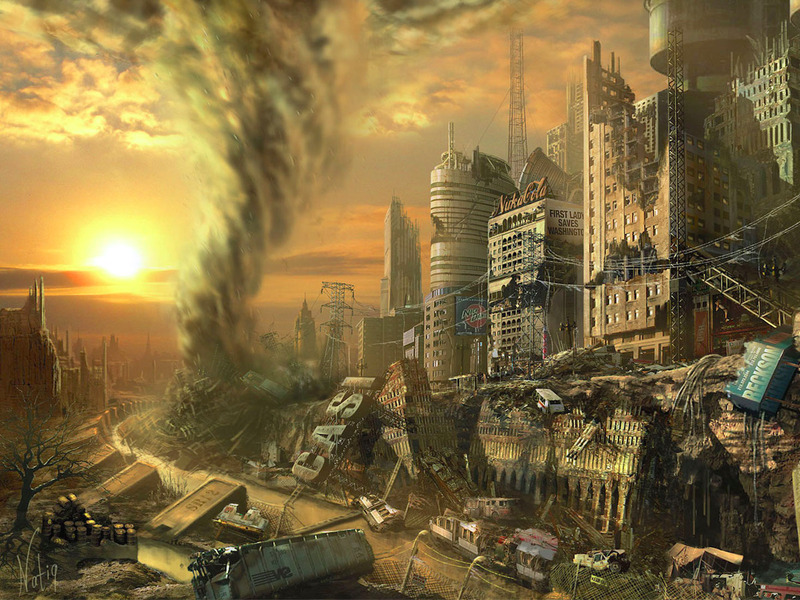 Markets are in crisis mode following the revelation that the UK is a broken nation. And the worst is yet to come. Global stocks are plunging, the pound is getting annihilated, and bank and company CEOs are doing their best not to freak out. Markets hate uncertainty and while everywhere from the Bank of England, to publically traded banks had “contingency plans” in case of a Brexit, it seemed mostly everyone has expecting Brits to pip for remain. But it is not just the immediate market fallout that Britain has to worry about, it is the future of our socio-political landscape. Britain is completely divided and the political contagion to follow not only threatens to wreck the European Union as a while, it could spread across the globe. Bank of England governor Mark Carney said that the central bank was “ready to provide more £250 billion of additional capital to its normal operations.” Essentially the BoE is ready to prop up the UK’s financial system to protect it from the direct impacts of Brexit. The forecasts were unanimous: Brexit would wreck the economy, according to everyone from theUK Treasury, the International Monetary Fund, the OECD, several independent research houses, and the banks. S&P, the ratings agency, said that Britain’s AAA rating is now threatened after it initially warned that a Brexit would hurt the economy. The lower the rating, the more expensive it is for the country to borrow money. All of this was dubbed as part of “Project Fear” — a derogatory description by the Leave campaign that insisted all these forecasts were just there to scare people into sticking with the status quo. Usually that works. In referendums held in Britain in years gone by there has pretty much always been a swing towards the status quo option with just days left until voting day. But not this time, and this is why the results of this referendum highlight just how fractured Britain is. So as well as having a prolonged period of time of market chaos — most banks say six months we are going to see the most seismic shifts — Britain can also look forward to an incredibly divided nation. Now, the results showed some glaring problems. If, lets say, 70% of the nation voted one way and 30% voted the other way, whatever the outcome was, it would be a true, solid majority vote. Leave: 51.9% with 17,410,742 votes. Remain: 48.1% with 16,141,241 votes. 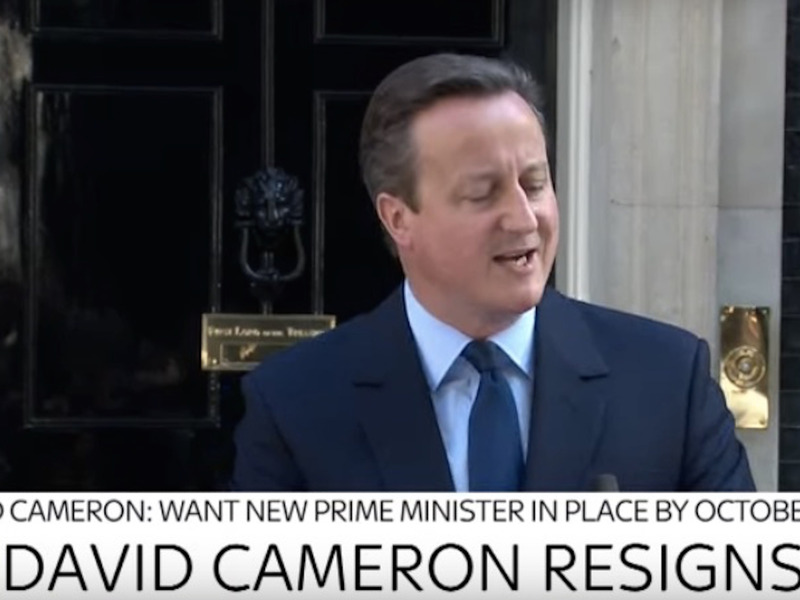 UK Prime Minister David Cameron resigned and the next PM of the country could be someone that no one voted for. I am not joking. For the first time in history, Britain’s Prime Minister will not be chosen by a general election, or by MPs, but by party activists — as the New Statesman reported back in February. First, Conservative MPs elect two candidates. The winner of this vote will then become the next Prime Minister. That means that 149,800 Tory activists (according to the latest House of Commons Library data) – around 0.002% of the UK population – will choose the next leader of the UK. This will surely bring about Scotland’s plight for independence in another referendum. The last Scottish referendum in 2014, it was still a close call — 55% voted against breaking away from the UK while 45% voted for independence. This week Scotland overwhelmingly voted against a Brexit — 62% voting for Remain compared to 38% who voted for Leave — but the country is being forcibly dragged out of the EU because the UK as a whole voted to leave the EU. Try telling Scottish voters that the country is going to be ruled by a party and Prime Minister that no one voted for. It is not a surprise that Scottish National Party leader Nicola Sturgeon said that the SNP “will begin to prepare the legislation to allow a new referendum to take place” before the UK leaves the European Union. And what follows? More uncertainty, more political, economic and legal upheaval and therefore more financial devastation. Meanwhile, Britain’s main opposition — Labour — is having another crisis in its leadership. Its leader Jeremy Corbyn, who only got elected last year in a landslide victory, is encountering a coup. Labour MPs Margaret Hodge and Ann Coffey have submitted a motion of no confidence in Corbyn, in a letter sent to John Cryer, chairman of the Parliamentary Labour Party (PLP). It will result in a discussion about Corbyn’s leadership at the next PLP meeting on Monday. 55 Labour MPs are expected to call for the left wing leader to quit in the letter, according to PoliticsHome. Britain’s political make-up is at breaking point. The political chaos does not stop at Britain’s main opposition Labour and Scotland seeking independence. It has been widely noted about the contagion the EU faces from Britain voting for a Brexit and it could rip the 28-nation state apart. But this was not the first time Morgan Stanley has warned against the “Brexit contagion” in March. In May, Simon Wells and his team at HSBC also released a report saying that while “a UK vote to leave the EU could dampen European economic activity” the real political threat comes from “referendum contagion” spreading further across Europe, handing more power to extreme-right, nationalist and eurosceptic parties. “In the UK referendum, the key arguments for the Leave campaign essentially boil down to questions over migration and sovereignty, which are concerns for much of the EU electorate,” added chief European economist Karen Ward and chief global economist Janet Henry from HSBC. “Article 50 sets no timeframe for when the PM needs to notify the European Council of the planned withdrawal — at which point Article 50 would be activated. This is important because (a) notification determines when the 2-year window on withdrawal starts and (b) parts of the Leave campaign wishing to retain access to the Single Market may want to use this procedural uncertainty to extract further concessions from the rest of Europe. The referendum itself was advisory, rather than legally binding. Prime Minister Cameron had indicated before the referendum that he would respond to a Leave decision by beginning the legal process of withdrawal. But above all, it looks like Britain will be battling to keep itself together, let alone remove itself from the EU and the wave of political fallout could cause huge ramification across the union, continent, and later the globe.